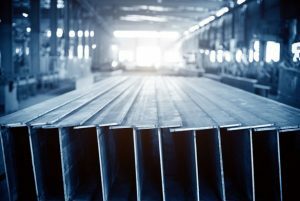 This morning in metals news, some steel stocks fell on the heels of President Trump’s proclamation on targeted tariff relief for quota countries, China looks to speak with its domestic aluminum foil makers as Mexico recently launched an anti-dumping probe and European Commission President Jean-Claude Juncker responds on the subject of automotive tariffs. U.S. steel stocks struggled yesterday on the heels of Trump’s proclamation affording “targeted relief” to three countries currently with steel quotas. Companies in South Korea, Argentina and Brazil can apply for steel tariff exclusion requests, per the proclamation. According to Markets Insider, U.S. Steel dropped 6%, AK Steel fell 4% and Steel Dynamics dropped 2%. On the heels of Mexico’s announcement that it had launched an anti-dumping probe of aluminum foil imports from China, the Chinese government plans to meet with foil producers early next week, according to Reuters. The U.S. and E.U. remain at odds over automotive tariffs; the disparity in automotive tariff rates is a subject Trump has harped upon on numerous occasions. Per a CNBC report, European Commission President Jean-Claude Juncker said the 28-member bloc would increase its automotive tariffs if Trump reneges on a previous reached agreement to not increase auto tariffs. MetalMiner’s Take: Not for the first time there appears to be contrarian positions, even within the European Commission. Hours after European Trade Commissioner Cecilia Malmstrom offered to cut auto tariffs to zero if the US would do the same (see our post earlier this morning), cantankerous European Commission President Jean-Claude Juncker was issuing threats to reciprocate with higher auto tariffs if the U.S. went ahead with threats made last month to raise tariffs on E.U. cars coming into the U.S. In practice, neither side should panic; the threat of tariffs on E.U. cars is a powerful bargaining tool the U.S. appears willing to use. But in reality a zero or tariff-free deal would be a major achievement for President Trump and could lay the groundwork for similar bilateral deals with Europe for other industries.